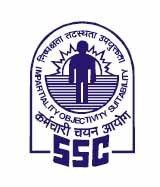 Staff Selection Commission (SSC) has published Notification regarding Extension of online application for Recruitment of Combined Higher Secondary Level (10+2) (CHSL) Examination, 2017. Check below for more details. The Competent Authority has decided to extend the closing date for filling up of online application forms for Combined Higher Secondary Level (10+2) Examination, 2017 till 5.00 P.M. on 20.12.2017. 2. As regards payments made through challan, it is informed that in those cases where the challans have been generated by the aspiring candidates up to 5.00 P.M. on 20.12.2017, they could make the payment to the designated Branches of SBI using this challan within the working hours of the Bank up to 22.12.2017.